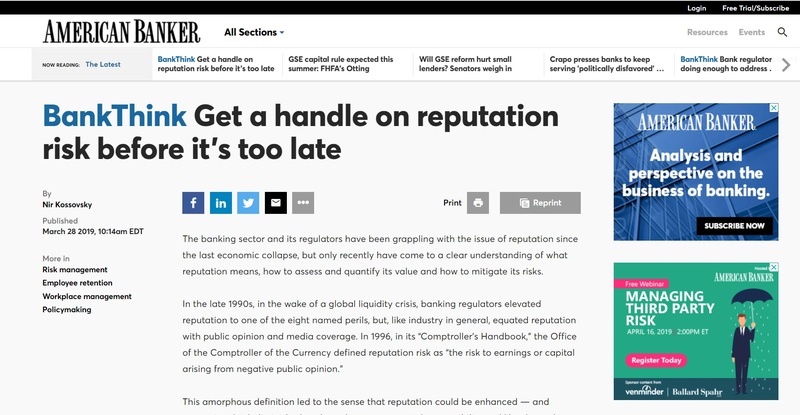 Nir Kossovsky, CEO of AC Client Steel City Re, publishes article “Get a handle on reputation risk before it’s too late” in American Banker. 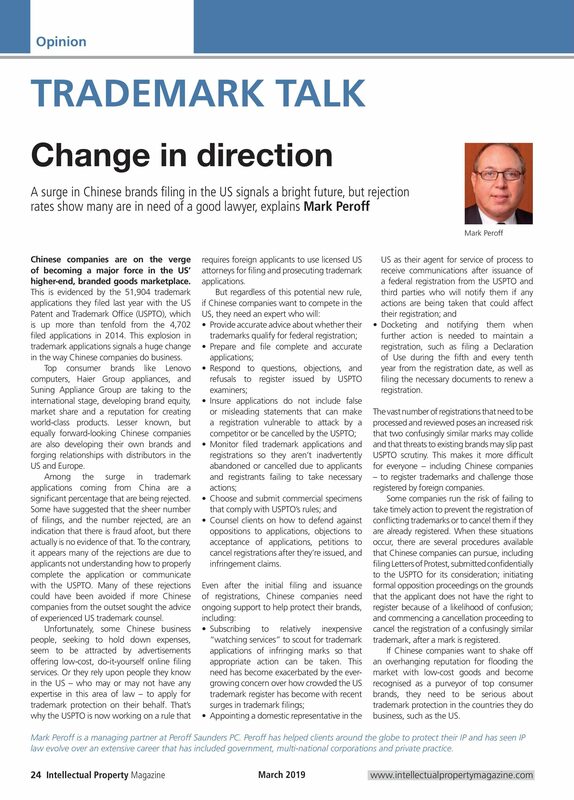 Mark Peroff, Partner at AC Client Peroff Saunders, recently published an article on the surge in Chinese brands filing trademarks in the US for international publication Intellectual Property Magazine. 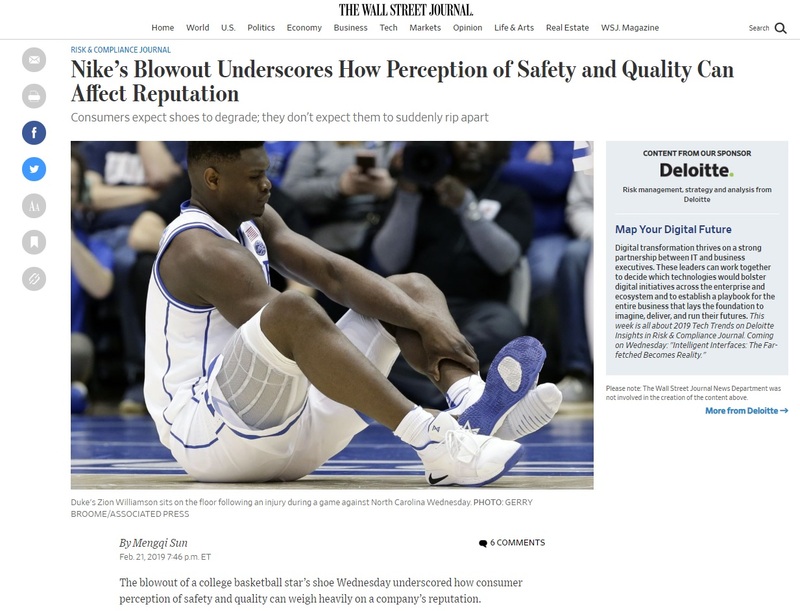 The CEO of AC client Steel City Re talks about how unmet expectations tangibly affect reputation. The lasting effect on Nike will be determined by consumers and investors. Some of the indicators for the scale of the impact could be the extent of movement in equity value, credit default swap prices and bond prices over time, Mr. Kossovsky said. Nike shares fell 1% to $83.95 on Thursday. “The bond guys, they are the most sensitive to risks,” he said. “Their risk assessment is the most accurate.” Bonds are a measure that could suggest material cash flow damage, he said. “Cash flow risk is the end state of reputation risk,” Mr. Kossovsky said.